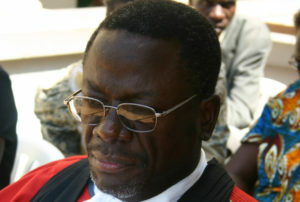 High Court Justice Stephen Musota has issued another interim order barring the elections until January 30 next year. File photo. KAMPALA–The High Court has issued fresh orders on the halted LC1 elections. The orders have been made by the head of the Civil Division of the High Court Justice Stephen Musota while ruling on a request of Electoral Commission lawyer Eric Sabiiti who requested court for ample time to finalize negotiations with a petitioner, one James Tweheyo, so as to reach a settlement. After convincing court that negotiations between the two are in advanced, Justice Musoota issued another interim order barring the elections until January 30 next year. After close to 20 years, the LC1 elections were set for November 14, beginning with election of women village committees and November 21 for the election of Local Council I committees. However, High Court Registrar, Sarah Langa on 13 November issued an interim order restraining EC and the Attorney General from organizing and or conducting the village council elections following a petition by Tweheyo. Tweheyo argued that the elections if held at the time would disenfranchise the Constitutional rights of students who are eligible to particiapate either as voters or as candidates but they were unable to register since they were still at School.